D&H has a new lightning stripe? Tony Bucca has an interesting new vehicle and many of you may have seen. 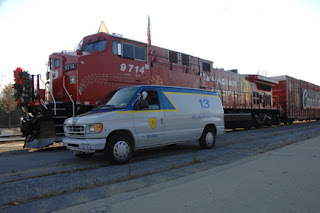 It is a custom painted Ford van in lightning stripe. 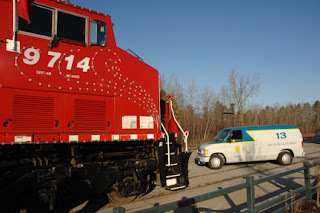 These are a few pics when he showed it off to the CP Christmas train crew in Saratoga. I think all the company vehicles should be painted like this! Good job Tony! 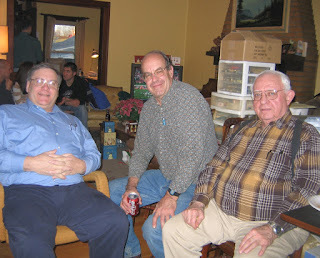 Yesterday afternoon Paul, from JP's Trains & Hobbies in Latham, had his annual New Year's Eve Party. Over 40 people attented through out the day. Plently of food and good conversation for everyone. 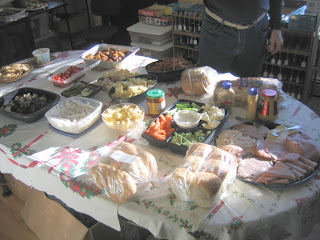 The spread of food was excellent! Santa after Christmas! No, really it's the owner Paul. 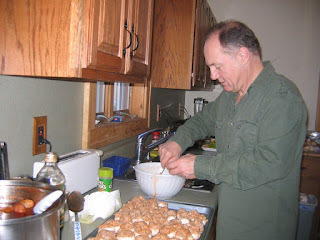 Paul's Son-In-Law was doing a little cooking. A few weeks ago a good friend of ours Alex Kolothros passed away he was only 56. 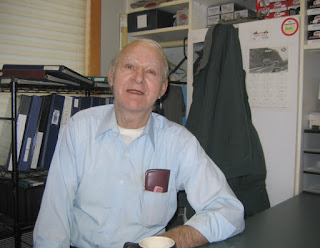 His sisters have let his friends and JP Trains & Hobbies in Latham sell off his estate collection for the sisters. 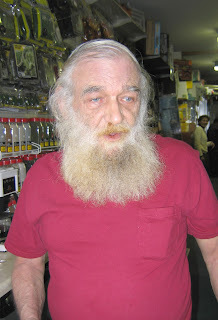 Alex worked for Paul at the shop during the day for many years. 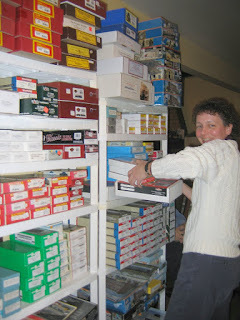 We need to sell the collection off as soon as possible, and everything is being inventoried. We are talking over 100 boxes of HO trains, none of it junk. 500 freight cars, 100 plastic diesels, 100 plastic steam, 100 steam brass, trolleys, building kits, craftsman kits, out of production kits, etc. Metal fire trucks and buses. Books and tools. Please stop by the shop. 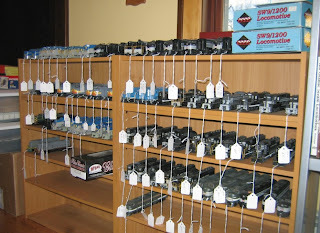 JP's Trains & Hobbies, 277 Troy-Schenectady Road in Latham or call 518-782-0981. Open Wed-Sat 12-7, Sun 12-5, Closed Mon and Tue. This is just a few of the engines we have!